Start off by painting all of your nails a solid color. I used Black because it is one of the colors I'm going to use for stamping. 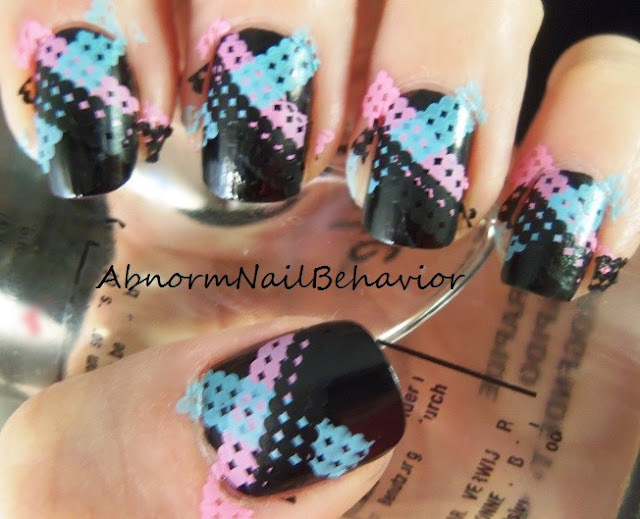 Stamp your design at an angle across the top of your nails. I used Bundle Monster plate BM-11 for the dotted line pattern. Cross your second color in the opposite direction. Now use your third polish and go in the same direction you did with the very first stamp just underneath it. 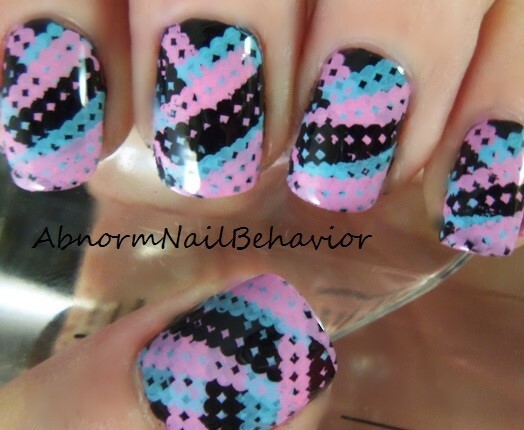 Continue layering alternating directions and colors all the way down your nails. I did a tutorial titled Braided Nails if you want to see a more in depth version. Once you get all the way down to the tips add your top coat and seal it all in. I think this would look much different with more subtle or complimentary colors but I wanted to really show the contrast. I will probably revisit this idea when I haven't drank so much coffee and have more patience and less shakes. Have fun! I'm not a big fan of braided manis, but this is fantastic! Many thanks guys! I am for sure going to have to revisit this one sometime. Hey girl, I was looking at your blog and I like your work. I like them all but this one is one of my favorites.